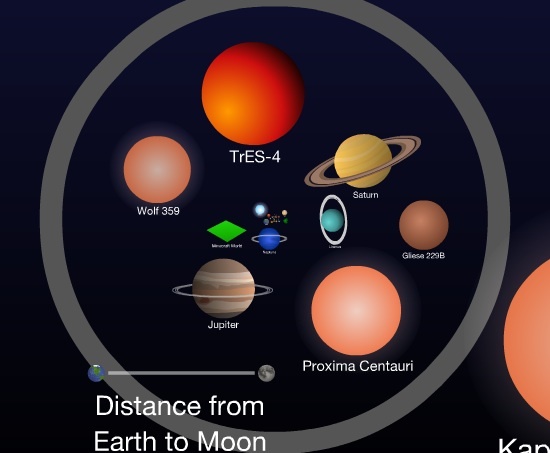 Check out this amazing presentation for demonstrating orders of magnitude or talking about the size of the universe! It was created by Cary and Michael Huang who have generously agreed that Taccle teachers can use it AND translate it into their own language. If anyone is interested in doing this let me know and I’ll send you the text files. You could do something similar using Prezi. Let the children draw or paint real or imaginary planets, rockets, space stations etc. Scan them, create jpg’s, use these to populate a huge prezi canvas (with click on notes about what they have drawn). Then take a virtual tour on the interactive whiteboard in a darkened room with some good background music. MUST find a way to use this with primary school learners! It’s mesmerizing! Great springboard for so many cross-curricular lessons. Thinking cap on Nic!